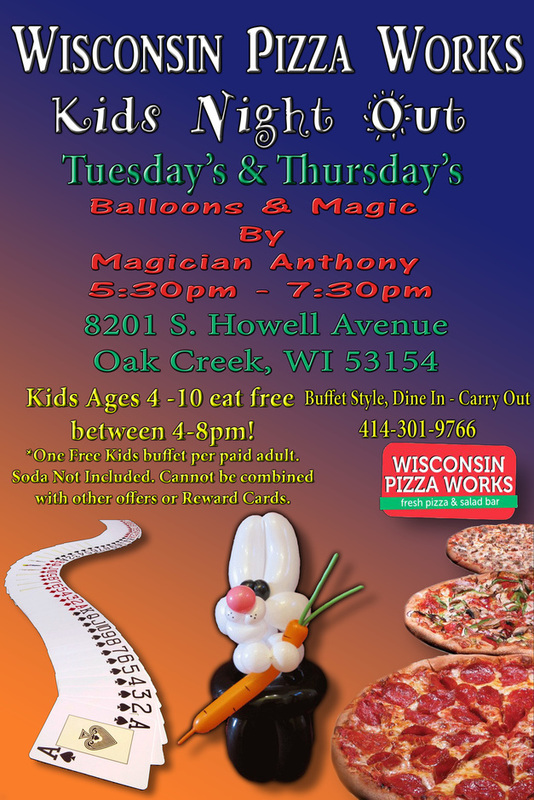 Wisconsin Pizza Works is now closed down! New restaurant event location could be coming to a town near you! 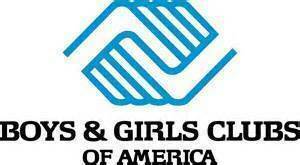 If your looking to bring family friendly entertainment to your restaurant contact me for more info. 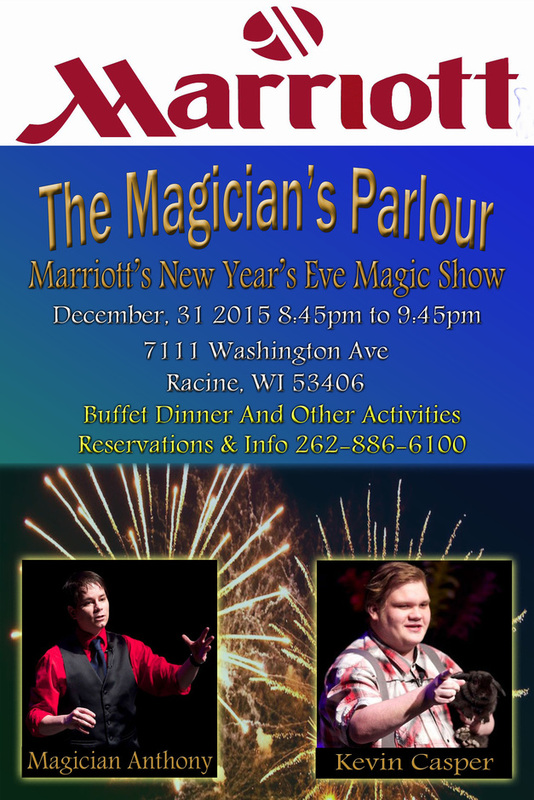 The Magician's Parlour is heading to the Racine, WI Marriott Hotels 2015 New Years Eve party for a second year in a row! 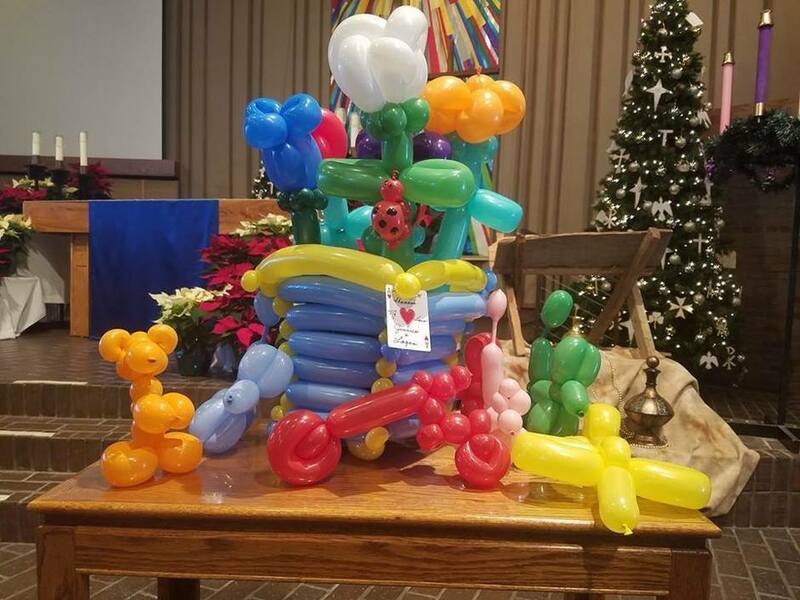 This event was a big hit, If you missed this magic show keep your eye out for the next big show! 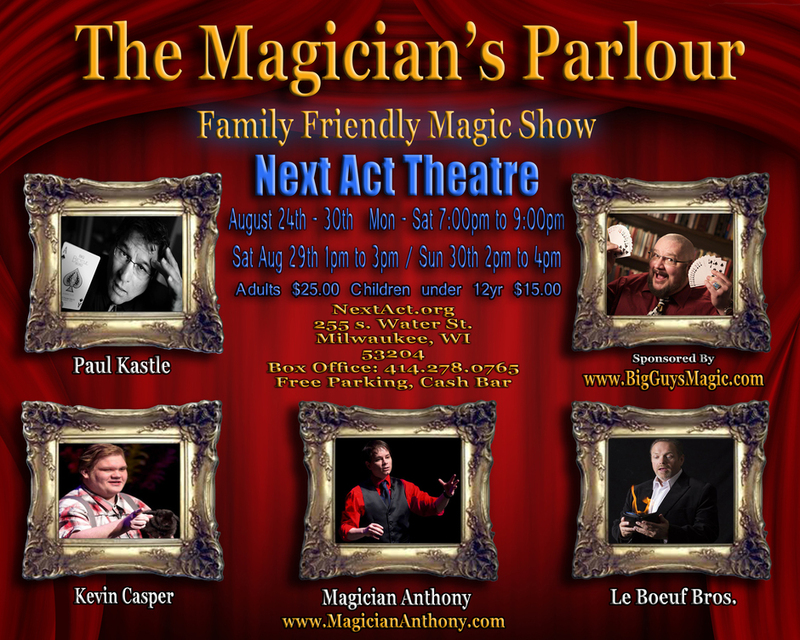 The Magician's Parlour is a great blend of Milwaukee's coolest magicians and special guests produced by Magician Anthony. See Milwaukee's Safe House Bar Magician, Kevin Casper. Brian Le Boeuf Bros., extraordinaire in the art of Comedy Magic. Comedy Magician, Paul Kastle who will give you a chance to win $100.00 and introduce you to his coat-hangers. 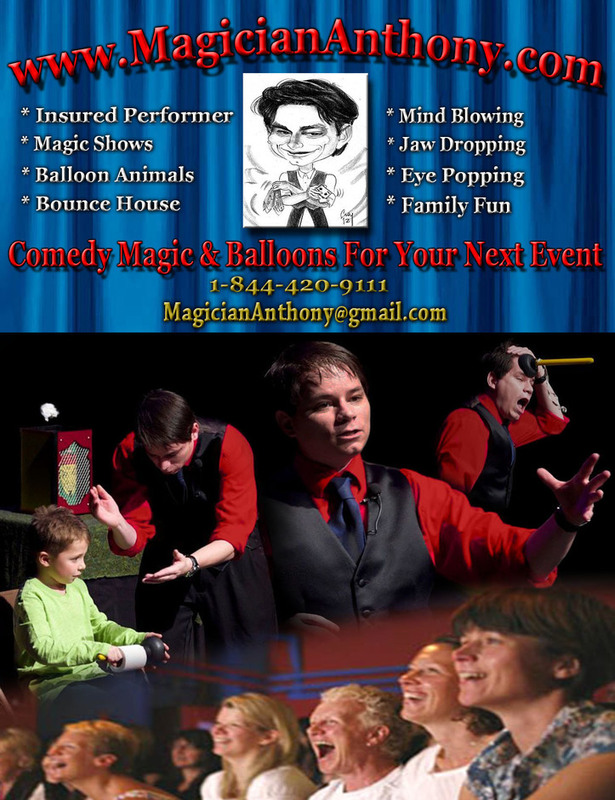 All this and Magician Anthony will bring you his five star parlour magic show to the big stage! Don't miss out on this event. 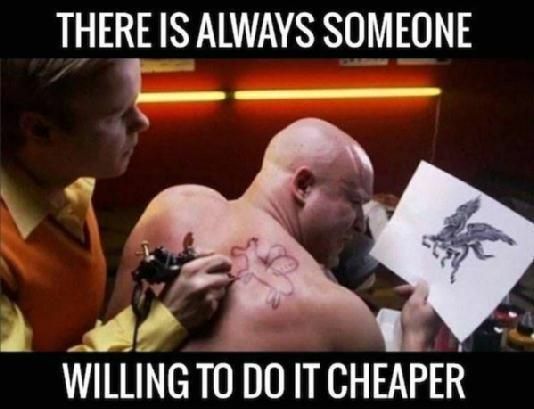 It makes a great gift that will last a life time!